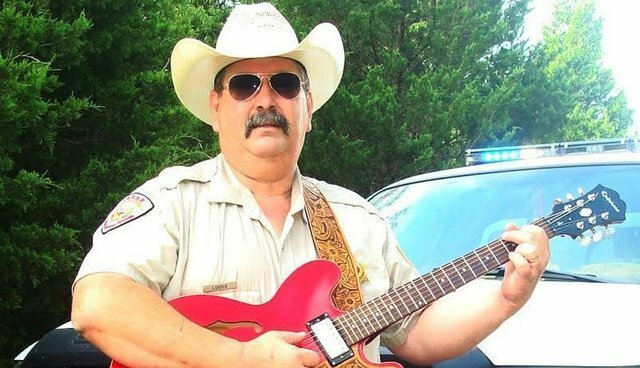 Last night, local Sunnyvale Animal Control Officer Frank Locke posted a video of his version of Junior Brown's "Highway Patrol" that I can't stop watching. And now his super Texan, down-home song championing responsible pet ownership is completely stuck in my brain. It should be in your brains, too, folks - with great reason. Officer Locke began his thirty-year-long career in animal control in Lewisville, TX. Since then, he's witnessed a lot of change and progress, much of that certainly due to the continuous efforts of shelter workers and employees just like him. Of course, there's only one Frank Locke; he's a bit of a cowboy and a complete character. Taking the time to perform duties as a pastor during the years of 2002 to 2012, Locke's journey also led him to compassionately serving the needs of animals and their people within many Texan communities as well as in Warren County, TN. Before social media and wide usage of the internet, Frank determined educational outreach was vital in preaching his message, so he started reading books like "Hank the Cow Dog" to kids at the Krum Public Library. "I would put a red bandana on my border collie Sugar, and we'd go read to the children at the library. That was years ago, but some of those kids still write me today, and I got to tell you: It just feels great." 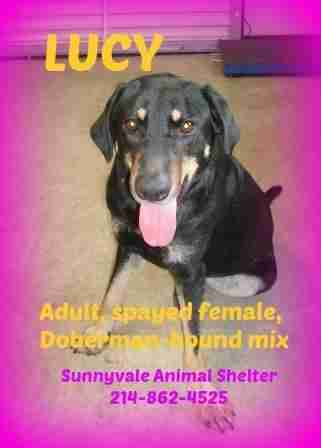 In Sunnyvale, TX, where Locke currently is a "one man operation" at the Sunnyvale Animal Shelter, he's got nine kennels. That might not sound like a lot, but when those spots are full, Locke has to get creative in order to draw attention to the low-traffic, little facility that is easily missed nestled behind another government building. "When I get an animal in, that animal immediately goes right up on Facebook. We've had a lot of success with social media, but we still have to think of ways to bring people into the shelter." Sunnyvale donors pulled together, and Locke started taking dogs to special events, networked with other shelters, and implemented a volunteer program he credits to the voice of one young lady who was determined to help. "It's important to listen to the people within the community, and she worked very hard to make that happen." "She was mostly feral when I got her, but the trainer has shown me how to get Lucy to respond. She just needs someone who will be willing to give her five minutes to get to know people first before judging who she really is. That's all." "It's a tough job. We don't go to work and say, 'Which animal am I going to put a needle in today?' That's just not who we are. We want to see these animals all have happy endings. There can be such hopelessness amongst animal control officers who are overwhelmed by the day-to-day sadness, and so I created a network for us that is positive and helpful. My hope is to connect all metro area ACOs with a place to interact and share ideas." 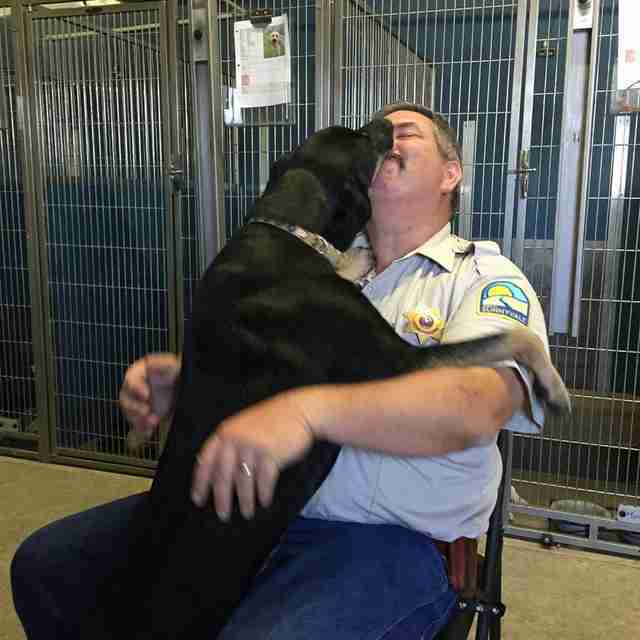 He began the Dallas Area Animal Control Officers Network as a resource for that need. What an inspirational character Frank is for animals, volunteers, and shelter workers everywhere. Man, we are fortunate to have him here in Dallas-Fort Worth playing his gee-tar and singing his animal welfare Americana around these parts! Thanks, Officer Locke. You matter. Greatly. If you'd like to adopt Lucy or any of the other animals Frank would love to introduce you to, visit him here: Sunnyvale Animal Shelter. If you're an ACO or shelter worker looking for ideas and support, visit here: Dallas Area AC Officers Network. And if you'd like to make a donation to improve Locke's efforts in Sunnyvale, please contact: SunnyvaleACO@townofSunnyvale.org for more info. Originally posted here along with more detailed history about Locke's amazing efforts. Author's note (and I hope Locke doesn't wring my neck): If you're an audio engineer who would like to donate time to record Frank's life-saving music, he could really use a hand (he's kinda busy working at the shelter and doesn't have time to lay out all the tracks he's recorded using his own set-up). Let's help this officer out, village.